REGENSBURG, Germany, November 27, 2012 (ENS) – Oil leaking from a capsized ship in the town of Ruse on the Danube River could have serious consequences, environmentalists are warning as an important Danube conference opened today in Germany. Information in the local media in Ruse, on the Bulgarian side of the Danube, reveals that the ship was damaged on November 11, but news of the leak only became public 10 days later and officials are still denying that any oil is in the water. The head of the Maritime Administration in Ruse, Georgy Ivanov, said port authorities tried to contain pollution from the boat but failed to pump out the boat’s fuel. He denied there was an oil leak from the capsized ship into the river. 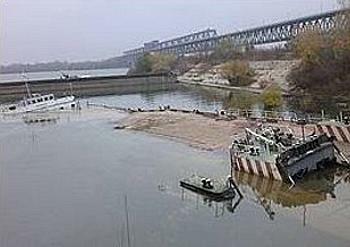 “Currently, there is no oil spill in the Danube,” Ivanov said on Bulgarian state television. 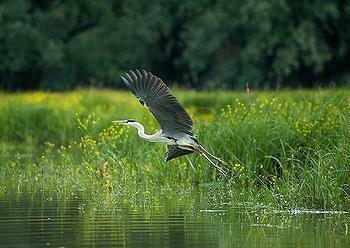 Still, Francine Cousteau says she is worried about the health of the Danube Delta. A member of the famous Cousteau family of environmentalists, named Ambassador of Danube Delta in 2009 by the Romanian Environment Minister, Cousteau says she is concerned about effect of the spill on wetlands downstream of Ruse, which harbor a wealth of plants and animals, including numerous rare species unique in Europe. The 10 day delay in disclosing news of the spill may mean that it is now too late to protect these areas. “Oil spills are particularly dangerous for the ecosystems of rivers and riparian wetlands with standing water,” said Stoyan Mihov, freshwater expert at WWF Bulgaria. “Currently river waters are high and have gone into floodplain areas, a major prerequisite for contamination. Petrochemicals break down slowly and their constituents are often more toxic than the oil itself,” Mihov said. Petrochemical spills form a thin, monomolecular film on the surface of water. A drop of petrol-based derivative can contaminate one million drops of clean water, environmentalists warn, pointing out that even a thin layer stops oxygen from penetrating water, causing fish and other aquatic organisms to suffocate. Today in Regensburg the First Annual Forum of the Danube Strategy opened. Here, delegates from 14 Danube River countries are attempting to find common solutions to shared challenges to the environment, energy, employment, transport, security and tourism along Europe’s longest river. The Cousteau Society’s Director for Science and Environment Tarik Chekchak is attending the Danube Strategy Forum to stress the importance of ecological issues linked to the Danube Delta, such as the oil leak at Ruse. But the major emphasis at the Forum is on business development with only a minor emphasis on environmental conservation. EU Commissioner for Regional Policy Johannes Hahn said, “I am convinced that this Strategy is making a major contribution to the competitiveness of this part of Europe. Projects are gathering momentum and are already delivering results. “In Regensburg we will be discussing how to make the strategy as effective as possible in bringing changes that will have a real impact on the lives of people throughout the region: now and in the EU’s next spending period,” Hahn said. Launched on April 13, 2011, the EU Strategy for the Danube Region aims to bring about closer cooperation between countries and regions across the Danube Macro-Region. The countries involved in the Strategy are: Germany, Austria, Hungary, the Czech Republic, Slovakia, Slovenia, Bulgaria, Romania, Croatia, Serbia, Bosnia and Herzegovina, Montenegro, Moldova, and Ukraine. The aim is to put in place strategic investment in key areas and create networks to bring together not only political administrations, but entrepreneurs, small businesses, and researchers, and develop cooperation in areas like security and tourism. 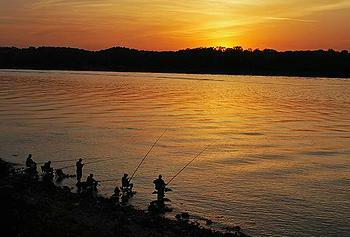 Environmentalists want to see cooperation that will conserve and protect the Danube River rather than exploit it. EEB Secretary General Jeremy Wates writes in his Foreword to the report, “The European Commission must make it clear how it wants to get a grip on the implementation of its water policy. Member States should stop desperately protecting economic sectors instead of scarce water resources. This is in the interest of society as a whole, which needs abundant, healthy, good quality water to prosper in the future. The European Council of Ministers has asked the Commission to deliver its first progress report on the Danube Strategy by June 2013. In preparation for that, the Commission will present a paper at the Forum on results of the Strategy to date and how to improve performance for the future. Under the Strategy some environmentally sustainable efforts have been made, such as the Danube Flood Risk Project – 19 institutions in eight countries participating to “floodmap” and protect the region. Romania and Bulgaria have signed a Memorandum of Understanding on navigation of the Danube. The Strategy has spawned an innovative vessels project to develop sustainable transport on the Danube with the European Commission’s Department for Research and Innovation. And the Strategy has helped launch Danube Tourism: One Brand, which features a sustainable boat and bicycle concept and a new cruise fleet now under construction. Representatives from the 14 countries involved in the Strategy, including numerous Ministers and State Secretaries, are attending the Forum to take stock and plan the way forward. German Chancellor Angela Merkel will deliver the keynote address on Wednesday.